I found these one of kind glasses while browsing Etsy last night. I say one of kind because not everyone is bold enough to rock these rocking ankara hands wrapped Eyewear. 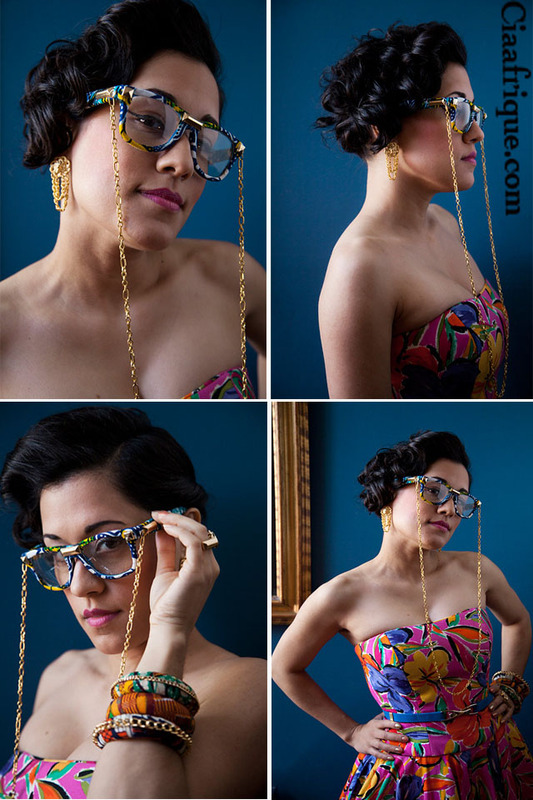 Nena Soul Fly Eyewear line is made and sold by Los Angeles local designer Tanya Melendez . Erykah Badu has been spotted rocking her these cute glasses not long ago.They cost about $55 dollars and you can buy it here . Happy Shopping !